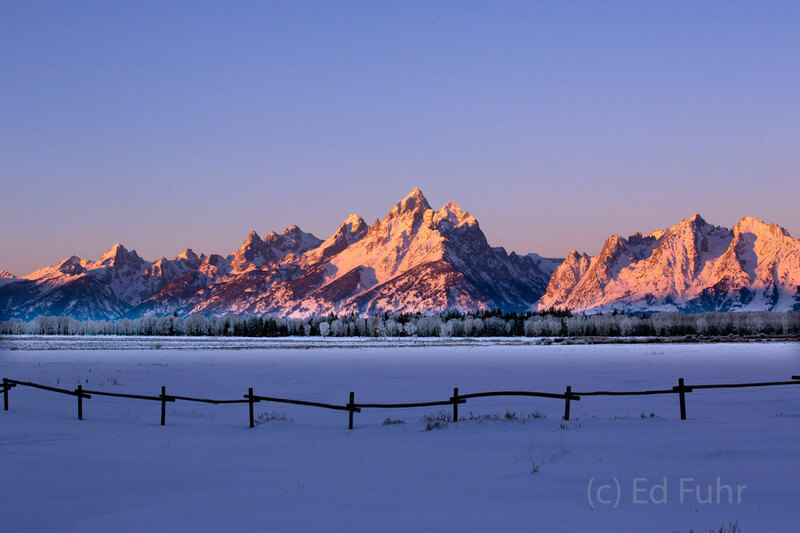 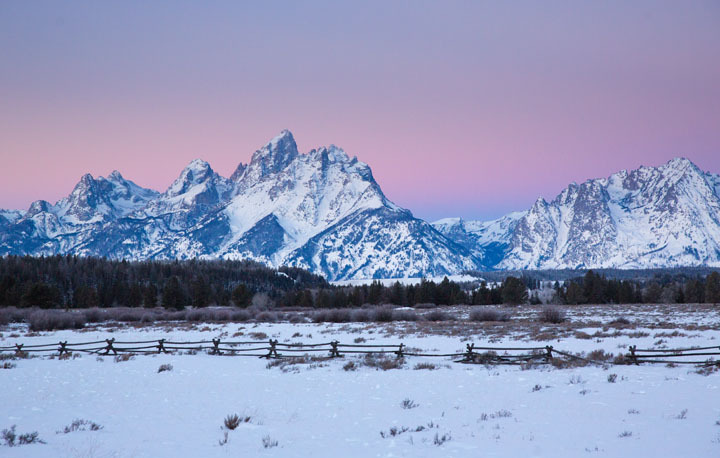 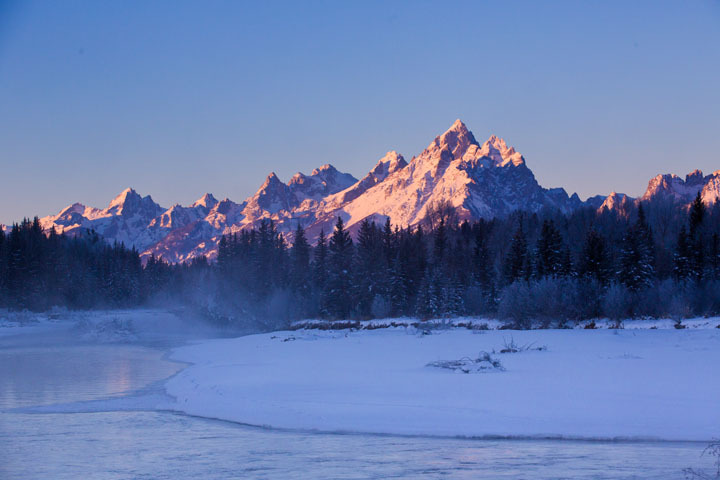 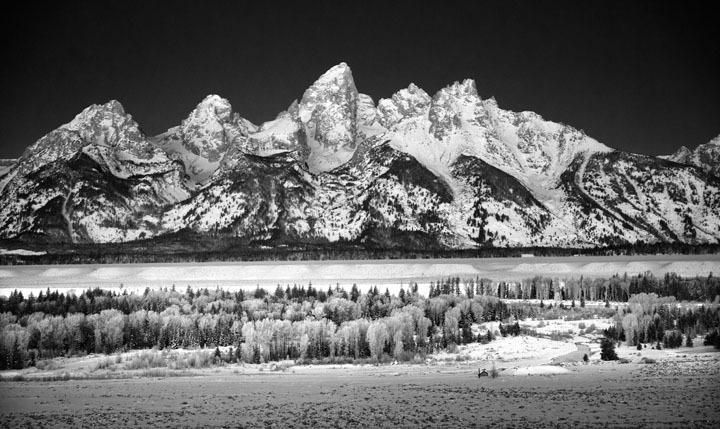 Weeks often pass in the winter where the Tetons never reveal themselves. 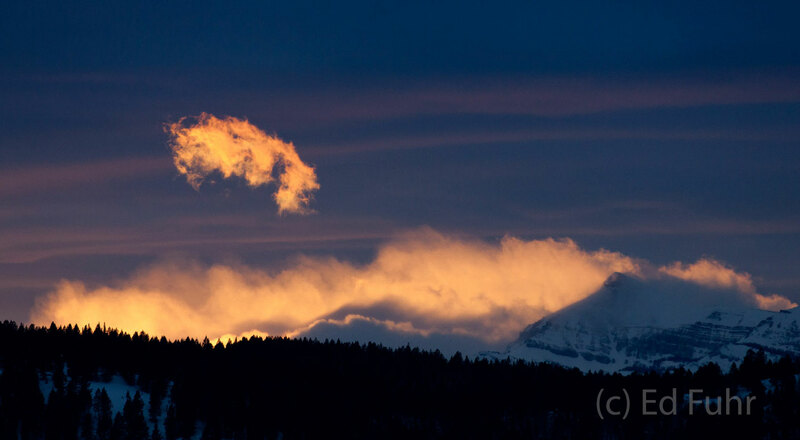 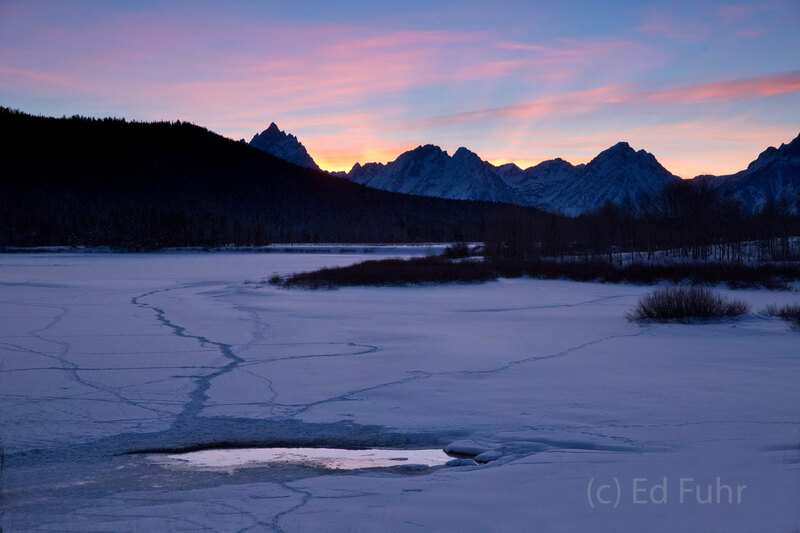 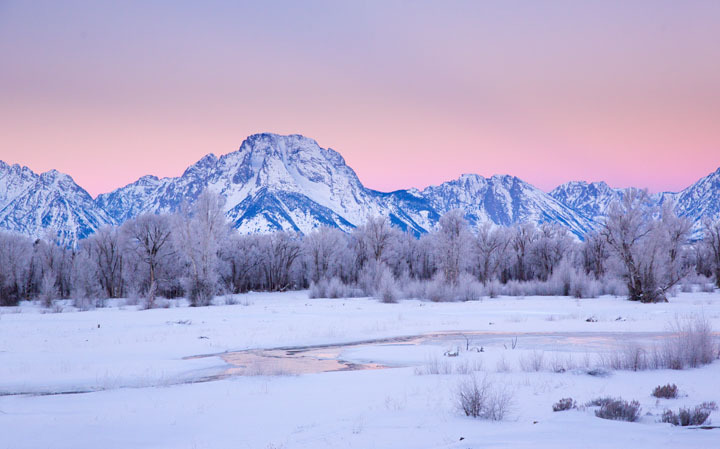 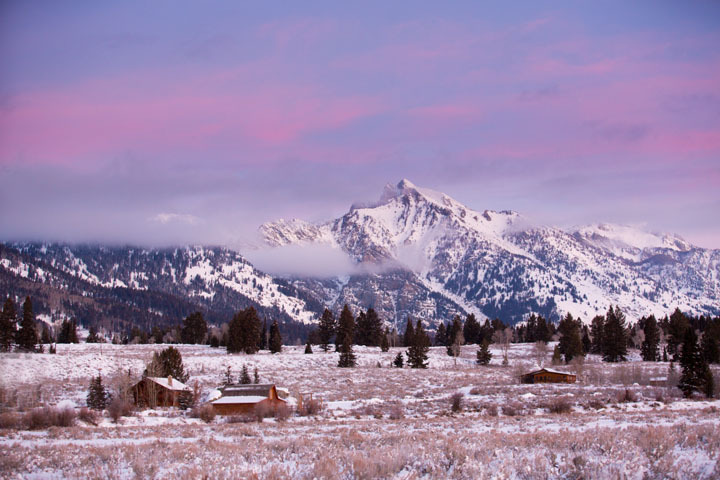 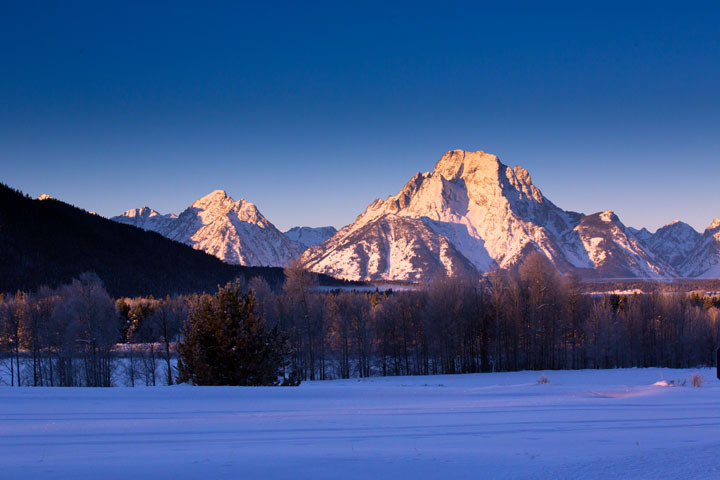 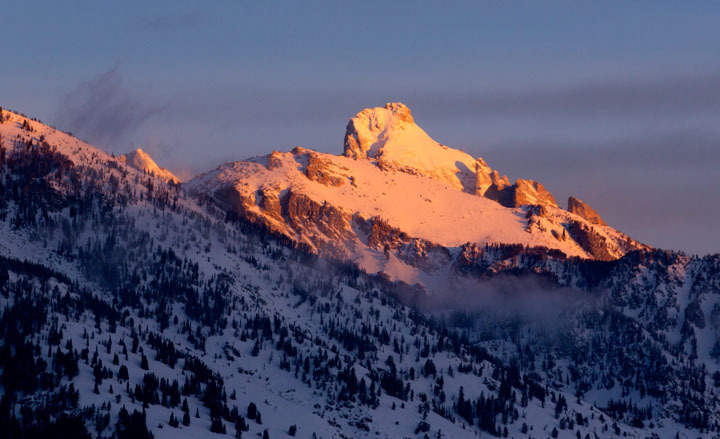 But to begin this year, the weather patterns that reduced the amount of snow created an exceptional opportunity for winter photography of the beautiful sunrises and sunsets for which the Tetons are so famous. 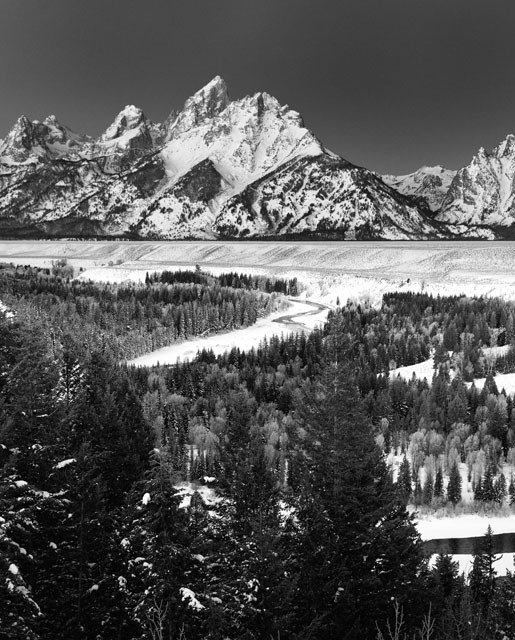 It also allowed for wonderful opportuities to do more shooting in black and white.